Kama Konohia remembers meeting the new kid who would soon be his teammate prior to the Maui Lani Bucks’ season in the Maui Menehune League five years ago. 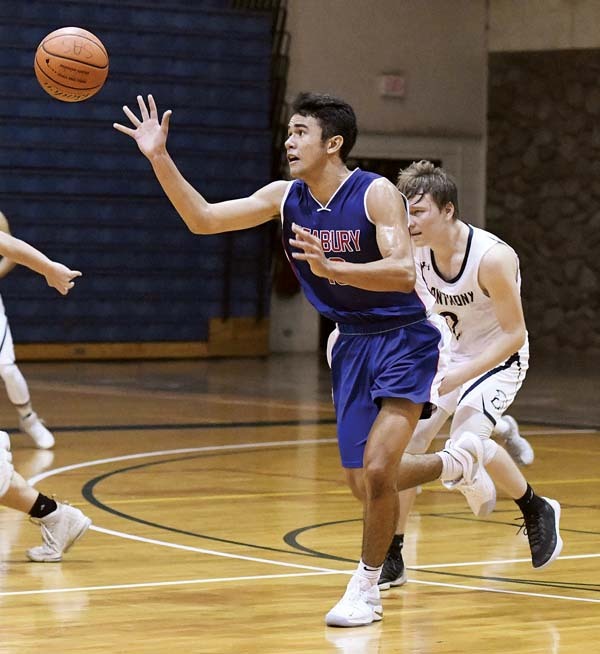 Reece Pascua had just moved to the Valley Isle from Sacramento, Calif., before he entered 8th grade and the seeds were planted at that moment for the future of the Maui Interscholastic League Division I and II ranks. 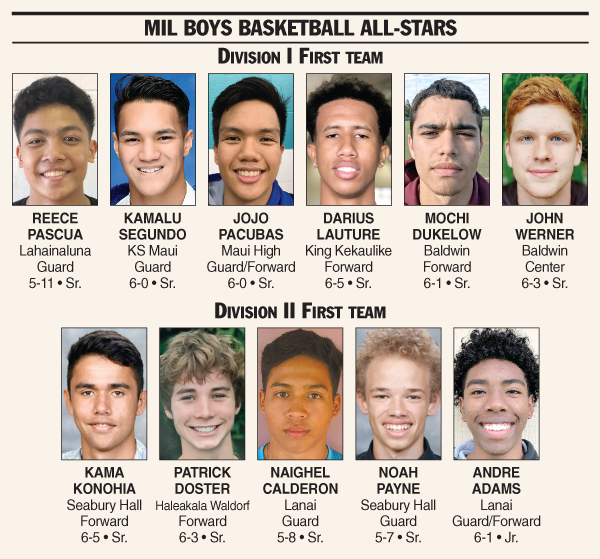 Lahainaluna High School’s Pascua is the unanimous choice among the league’s coaches as The Maui News MIL Player of the Year in D-I, while Seabury Hall’s Konohia earns the nod in Division II. Konohia said the teammates quickly became pals. Pascua, a 5-foot-11 point guard, led the Lunas to their fifth straight MIL title and finished his career 55-1 in MIL play, winning the final 52. He was the unquestioned leader of the Lunas this season, whether it be by example, scoring or passing to make sure teammates were involved. Konohia, a 6-4 senior forward, follows Seabury Hall’s three-time MIL D-II Player of the Year Isaiah Payne, who is now on a track scholarship at Seattle University. Konohia edged fellow Spartans senior Noah Payne, Isaiah’s younger brother, and Lanai’s Naighel Calderon for the POY award. Seabury Hall coach Scott Prather is the D-II coach of the year. 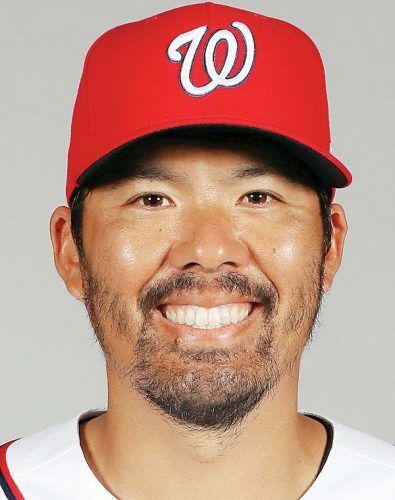 “My coach, for putting me in a situation to do the best I could throughout the whole year, giving me the ball when the game’s on the line, I really have to thank (him) for that,” Konohia said. Konohia is joined on the MIL D-II first team by Noah Payne, Lanai’s Calderon and Andre Adams, and Haleakala Waldorf’s Patrick Doster. Pascua was joined on the D-I first team by Baldwin’s John Werner and Mochi Dukelow; Maui High’s Jojo Pacubas; Kamehameha Maui’s Kamalu Segundo; and King Kekaulike’s Darius Lauture. In a rare occurrence, all five teams are represented on the D-I first team. Because of a close vote for the top five, the first team includes six players. 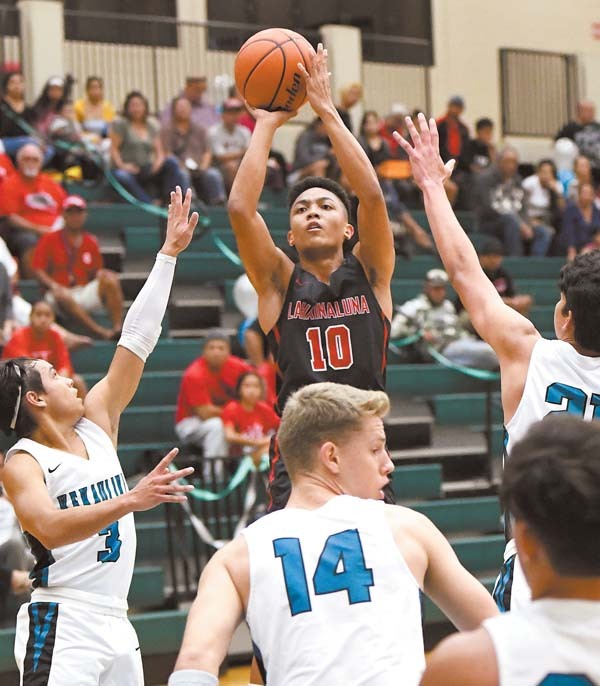 Lahainaluna had six players off its state-championship football team on the basketball roster, but lost both of its games at the state basketball tournament. Pascua helped the team gel after it wasn’t able to practice with a full roster until late November because of football. Lahainaluna coach Jason Justus is the choice of his peers as MIL D-I Coach of the Year. Justus said the award goes to the entire staff, including his fiance Rachel Kane and Kalei Houpo. Justus said he and Kane, a former Ms. Basketball Hawaii and state champion for Punahou, are set to be married in May. Both are former NCAA Division I players, Justus at Iowa State and North Dakota State, Kane at Gonzaga. Justus said that Pascua can play at the next level if he wants to. “His work ethic and his drive just to be a great basketball player, let alone a great kid, is uncanny, it’s awesome,” Justus said. Tre Rickard	Lahainaluna	Guard	5-8	So. Kui Ross	Baldwin	Guard	6-2	Jr.
Efren “JR” Villon	Maui High	Forward	5-9	Jr.
John Flores	Lahainaluna	Guard	5-9	Sr.
D.J. Sable	Maui High	Guard	5-5	Sr.
Stephen Agcaoili	Molokai	Guard	5-6	Sr.
Joaquin Donez	Seabury Hall	Guard	5-10	So. Kaimana Baker	St. Anthony	Forward	6-1	Jr.
Devrene Kahananui-Alejado	Lanai	Forward	6-1	Jr.
Masyn Johnson	Seabury Hall	Forward	6-4	So. DIVISION I–Baldwin: Holden Ioanis; Kamehameha Maui: Tiliti Adams; King Kekaulike: Ethan Bediamol, Dylan Baird; Lahainaluna: Matthew Rabino. DIVISION II–Haleakala Waldorf: Connor Fernandez, Laa Akeo, Will Pang; Hana: Chayton Keegan, Keoni Hoopai-Waikoloa, Huaka Park; Lanai: Kane Tubera; Molokai: Vaai Seumalo, Nick Rapanot, Marc Bumatay, Leonaka Burrows; St. Anthony: Jonathan Vergel De Dios; Seabury Hall: Kai Preseault.